A Pulitzer Prize winning work about the creation/evolution debate is sure to attract the interest of any serious participant. This book attempts to give the definitive story of the events surrounding the well-known Scopes ‘monkey trial’ in Dayton, Tennessee in 1925. Summer is of course not unsympathetic to evolution. It would hardly have attained secular acclaim otherwise. Many readers will know what I mean when I say that its tone towards creationism is much like that in the book The Creationists by Ronald Numbers, the professional historian who tried to write the definitive history of the creation movement. Larson is not overtly antagonistic to creationists (even sympathetic at times), but he does engage in some subtle ‘putdowns’ and distortions of history. 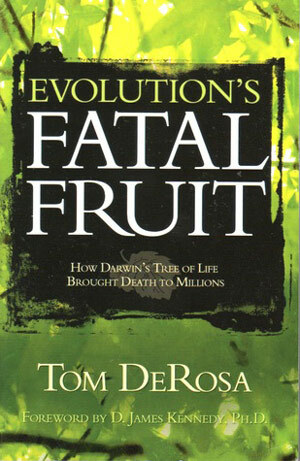 Overall, his book is laced with a patronising self-assuredness about the ‘truth’ of evolution. This is not surprising, as the author is a friend, colleague and former student of Numbers, a self-confessed apostate. I found the book to be well worth reading. The author’s access to many original documents, and his professional background as a historical researcher brings interesting and hitherto poorly known facts to light. It also goes more to the core of the human side of the various protagonists than previous works on the subject. The bottom line is that the Scopes trial (or at least the publicity surrounding it) was a major setback for biblical creation. There are lessons in this book which can help prevent us repeating the mistakes of the past. The most important of these lessons concerns the philosophy of creationism. We need to ensure that we are continually coming at this issue from the basis of the authority of the Bible as the revealed Word of God. This may sound surprising in the context of the Scopes trial failure. Conditioned by media distortions, we are used to thinking of the anti-evolutionism of the time as driven by vocal fundamentalist fervour and Bible-bashing. In reality, the anti-evolutionists may not have been driven by the need to defend the authority of the Bible as much as we might suppose. Much of their opposition seemed to stem more from personal distaste at the idea of being descended from an ape, and the social implications some drew from this. The champion of the anti-evolution forces at the Scopes trial, William Jennings Bryan, ‘expressed concern only about the teaching of human evolution’ (p. 8—in fact the statute being challenged at the trial only concerned human evolution). In other matters, compromising the biblical account had actually long been the order of the day. In the early part of the nineteenth century, many Christian geologists had abandoned a literal Genesis in favour of Cuvier’s ideas of multiple catastrophes, followed by separate creative acts. By increasingly opening the door to Christian acceptance of the notion of vast ages of earth history, this led to further compromise mid-century by way of the ‘day-age’ and ‘gap’ theories. The (otherwise) great Presbyterian theologian Charles Hodge admitted that long ages of earth history appeared to be at odds with the straightforward Mosaic narrative, but nevertheless, he bowed to the authority of ‘science’ and so accommodated his understanding of the Bible. Thus, even though he railed against Darwinism as rank atheism, the nose of the camel was already in the tent. His successor at Princeton, B.B. Warfield (who was conservative enough to sign the well-known ‘Fundamentals’ document), took this ‘re-adjustment’ of the Scripture to its next logical step, calling himself a ‘Darwinian of the purest water’. We need to remind ourselves of this inevitable consequence of compromising God’s Word, in a day when there is again pressure on biblical creationists to relax their concern about such things as the question of the age of things, the Flood, six days and so on. (‘Why not just sort out this issue of ‘intelligent design vs naturalism’ and worry about the rest later—surely we’ll be able to influence more people that way?’). It never worked for the Children of Israel in Old Testament times, either. In fact, it may surprise many readers to know that the ‘Great Commoner’, as the populist Bryan was affectionately known, would have felt perfectly comfortable with any of today’s ‘intelligent design’ theorists and long-age creationists. In a pinch, he would have been able to cope with some form of theistic evolution, it seems, so long as Adam’s soul remained divinely created. In one speech, Bryan conceded that it was possible that one would have to admit evolution right up to the point of the ape. In another, he said that ‘no matter how long you draw out the process of creation; so long as God stands back of it you can not shake my faith in Jehovah.’ And of course, it is well-known that in the witness box, the wily Darrow showed up the inconsistencies in Bryan’s acceptance of millions of years in the face of the Bible’s clear statements on six days. Not to mention that Bryan, not having a clear stand or understanding on the historicity of Genesis, had no coherent response to the question of Cain’s wife, either. The message this gave people was quite clear—if even this great ‘champion’ stumbled in the face of ‘science’, Christians had no answers, and the Bible could not be trusted. The questions that Darrow asked Bryan during the famous cross-examination were the typical ‘village atheist’ challenges; in addition to Cain’s wife, they included Jonah’s ordeal and Joshua’s long day. Even though the prosecution complained that such questions had nothing to do with the issue of human evolution, Larsen says that ‘in a broad sense … they had everything to do with it because they challenged biblical literalism [i.e. they attacked the truth and authority of the Bible. 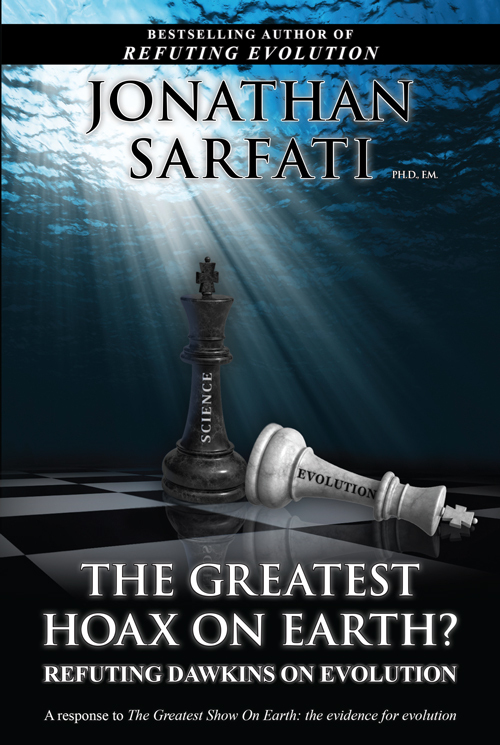 ]’ That, of course, is why Creation Ministries International has featured articles attempting to give good, rational answers on each one of these topics; Larsen claims that the questions favoured Darrow because, he asserts, ‘no good answers’ existed (p. 188). Without meaning to be too ‘down’ on William Jennings Bryan, he, like many other great Christians then and now, failed to take the historicity of Genesis seriously. This inevitably stunts one’s ability to develop a truly Christian worldview applicable to all walks of life. Without a Genesis-founded balanced view of mankind (created in God’s image, yet fallen) one easily falls into the trap of either too low or too high a view of mankind. For instance, consistent with the doctrine of a literal Fall, the Bible repeatedly warns against putting one’s trust in man. Jeremiah 17:9 teaches that the heart is deceitful above all things, and desperately wicked: who can know it? Yet Bryan repeatedly expressed an apparently naïve and unbiblical view of mankind as essentially good, upon which he based his overwhelming faith in democracy. He said ‘There is more virtue in the people themselves than can be found anywhere else.’ After an election defeat, his message was, ‘The people gave and the people have taken away, blessed be the name of the people.’ Bryan also said, ‘Have faith in mankind … mankind deserves to be trusted’. But Jeremiah 17:5 states, Cursed is the one who trusts in man, who depends on flesh for his strength and whose heart turns away from the LORD. 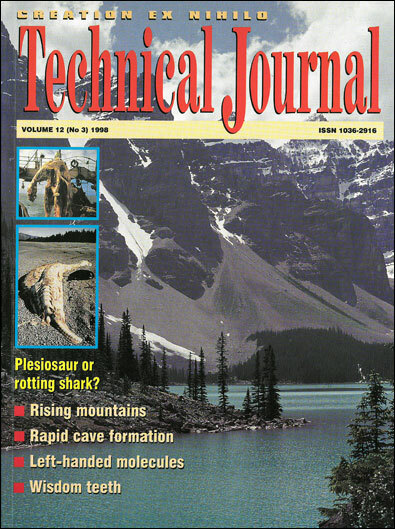 The fossil record played a prominent part in the popular debate over evolution which was taking place at the time. The proponents of evolution pointed to what Larsen calls ‘the remarkably complete collection of fossils tracing the development of the horse over three million years’. The author’s bias is easy to spot, considering how puny the fossil evidence of ‘horse evolution’ has been shown to be on careful inspection. 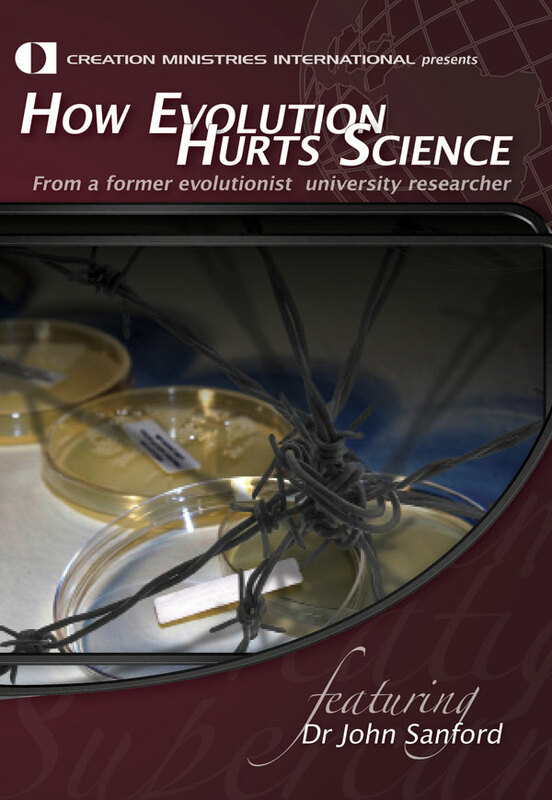 The anti-evolutionists mainly focused on the ‘missing links’ in human evolution. This is consistent with the already mentioned observation that prime concern was not the historicity of the Bible, but the dignity or otherwise of our own ancestry. It appears, however, that the statement commonly attributed by creationist writers to Darrow, namely that ‘it is bigotry to teach only one theory of origins’, is fictitious (p. 258). It was an eye-opener to discover that the ACLU was actually unhappy with Darrow’s overt anti-Christian stance. They preferred to take a more subtle line to avoid alienating the ‘religious’ public. The ACLU had a number of ‘religious scientists’ on side to show that one could believe in both God and evolution. They shied away from allowing them to give live testimony with cross-examination, however, because they realised that this would reveal that these theistic evolutionists ‘did not believe in the virgin birth and other miracles’ (p. 181). Bryan, to his credit, insisting on being able to cross-examine these scientists. Nothing much has changed in our day. If many of the professing evangelical academics in organisations like the American Scientific Affiliation, or Australia’s ISCAST (Instititute for the Study of Christianity in an Age of Science and Technology) were subjected to cross-examination, their trusting fellows in the pew might be staggered to learn just what degree of compromise is almost invariably associated with rejecting the plain (and doctrinally foundational) truths of Genesis. Today, the leading U.S. anti-creationist campaigner, the atheist Eugenie Scott of the so-called National Center for Science Education, is similarly conscious that to win the average American to the evolutionist cause, one must guard against any sign of being antipathetic to faith. Mindful of the same PR issues, Australia’s most prominent anti-creationist has cleverly cloaked his out-and-out atheism with feigned sympathy for ‘religion’. There is no doubt that the historical realities surrounding the Scopes trial were far more complex than my own understanding of them to this point. Larsen’s book confirms much of what we have published previously on the subject, showing that matters were far different from the mythical popular version of science vs Christianity as portrayed ad nauseam in the play and movie Inherit the Wind. Even this play seems to have a more complex background than meets the eye. It appears that the intention (of its human authors at least) of the play was not to enter the origins debate, which they thought had been largely won by evolutionism already. It was in fact written with the Scopes trial as a convenient setting to satirically protest the McCarthy era persecutions. Its mocking caricature of fundamentalism was a convenient by-product which has been greatly used of the devil. It was interesting to read of a constitutional scholar, sympathetic to evolution, who nevertheless stormed out of a Broadway performance of the play in disgust (for the first time in his life) because of its distortions of the historical Bryan in particular. Even Time magazine at the time slammed the play as ‘wild and unjust’ in its portrayals. Since then, sadly, this unjust recital has become deeply ingrained in the American psyche, as the play is performed by schoolchildren over and over each year. It is this stage and screen portrayal which, as Carl Sagan is quoted as recognizing, has had a ‘considerable national influence’, far in excess of the trial itself. In summary, this is a well-written book. Though the extent to which it will aid the creationist cause is debatable, the Scopes trial is an important historical defining event in the whole creation/evolution struggle. Thus, the useful information and insights this book provides more than justifies having a copy on the shelves of the CMI (Australia) library. More ‘monkey business’ in Tennessee?